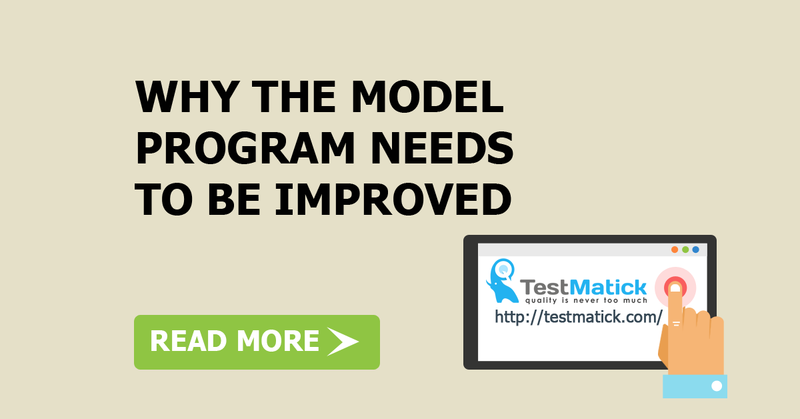 There is a very high probability that the process of creating a model program will cause errors to occur. Practically, it takes long to implement such models as finite state machines. You should be able to distinguish between model errors, errors in tests based on this model, and system errors. It’s easier to eliminate modeling errors before you start developing a test than to search for them during testing. Below you will find the information on what you should look for in the models, and how to detect them. Here our problem becomes less difficult because there is a theory for such models, algorithms have been created on the basis of this theory, and in many cases there are tools developed based on these algorithms. However, do not rush to let your heart rejoice. Algorithms, if implemented in tools, are almost always designed for hardware and must be adapted for use in software models. Completeness and consistency. How many input symbols do you have? How many states? The product of these two numbers (called the state-symbol product) is equal to the number of cells in the state table. Each cell in the table must correspond to one and only one transition, no more and no less. If any cell is not filled, an uncertainty arises in the model representation. If more than one transition is defined for a cell, a contradiction arises. The program cannot be inconsistent or incomplete. In any state, it must always perform an action for any input, and this action must be unique. Imaginary contradictions are more unpleasant, since if they are available your system with a finite number of states is at least twice as large as you think. A single-valued input encoding. If the input encoding changes from state to state, then you either have an error in the model, or your project is awful. This means that the size of your state table is not fixed. In practice, you will not be able to analyze this nonsense. The minimum number of automation tools. You create a model in which you have two sets of states with different names, but the same output actions and similar transitions. Suppose you have two states A and B, such that any input sequence starting in state A outputs the same sequence as if it started in state B. In this case, the external observer cannot distinguish between the two states. With the exception of the difference in names, these two states are equivalent and can be combined into one. Similar reasoning applies to a set of states. You should simplify the model by combining all equivalent states. This can be done automatically. You might be interested in cross browser testing services to ensure the quality of e-commerce sites on different screens. If so, you may ask Ukrainian experts to verify web design and functionality as well as test a multitude of devices to be used in the market and customer base.